Petra Dittrich is an Associate Professor in the Department of Biosystems Science and Engineering at ETH Zurich (Switzerland). She studied chemistry at Bielefeld University and the University of Salamanca (Spain). 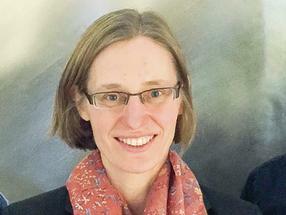 After completing her doctoral studies at the Max Planck Institute for Biophysical Chemistry in Göttingen (Germany) and her postdoctoral work at the Institute for Analytical Sciences in Dortmund, she was Assistant Professor of Bioanalytics at the Department of Chemistry and Applied Biosciences at ETH Zurich from 2008 to 2014. Her research focuses on the miniaturization of bioanalytical methods, especially for cell and membrane analysis and for the creation of artificial cells. In 2015, Petra Dittrich received the Heinrich Emmanuel Merck Prize for her work in the field of singlecell analysis with immunological methods.